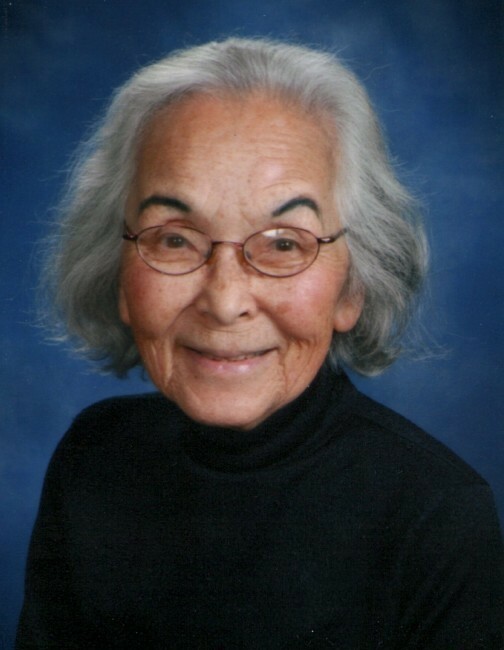 Elizabeth Fumiko Fujioka Easley, 92, of Urbana, Illinois died at 3:23 a.m. on Friday, February 1, 2019 at Amber Glen Alzheimer’s Special Care Center, Urbana. Both a visitation and a memorial service will be held on Saturday, March 16th at Community United Church of Christ, corner of Sixth and Daniel Streets, Champaign. The visitation will begin at noon. The memorial service will begin at 2:00 and be followed by a reception. The Rev. Leah Robbert-Mosser will officiate. Elizabeth was born July 3rd, 1926 in Hilo, Hawaii, the daughter of Bumpachi Fujioka and Kosei Takasaka Fujioka. She married John Allen (“Jack”) Easley in Honolulu, Hawaii, August 15, 1948. Her sister: Mary Matayoshi of Honolulu, HI. Her four sons and three daughter-in laws: Allen K. Easley (Julia) of Claremont, CA; Robert F. Easley (Mary Beth) of South Bend, IN; David F. Easley, of Covington, LA; and John M. Easley (Bernadette) of Champaign. Her six grandchildren: Taylor Easley of Billings, MT; Chandler Easley of New York, NY; Kathleen Easley of Ann Arbor, MI; Joseph Easley (Anja) of Clarksdale, MS; Brock Easley of Bloomington, IN; and Jack Easley of Champaign, IL. Her siblings-in-law Hoshi Fujioka, of Sacramento, CA; Janet Fujioka, Hilo, HI; Roger Ogata, Honolulu, HI, and Eleanor Barnes of Winston Salem, NC and many nieces and nephews. She was preceded in death by her parents, by her husband, and by four siblings: Joe Fujioka, Paul Fujioka, Marty Kunimura, and Agnes Ogata. Elizabeth lived her whole life in loving service: she was an example and an inspiration to all of us who knew her. She was a loving daughter, sister, wife, mother, grandmother, community member, and volunteer. At the age of 14, Elizabeth learned to drive so that she could take her mother to visit sick and shut-in members of their community. In high school, she spent countless hours knitting bandages for wounded troops. In 1947, she was a delegate to the World Conference of Christian Youth (WCCY) in Oslo Norway. After this conference, she helped rebuild a school in southern France. She met her husband, Jack, while making a presentation about the work of WCCY at her church in Hilo, HI. Elizabeth was a school teacher on the Island of Majuro in the Marshall Islands, at Hickham Air Force Base in Honolulu, and at Kapiolani Elementary School. In 1962, Elizabeth and Jack moved to Champaign when Jack took a position as a professor of Math and Science Education at the University of Illinois. At the University, Elizabeth worked as a secretary in multiple departments including General Studies, Botany, and Organic Chemistry. Together with Jack Easley, she co-authored a book and multiple scholarly articles focusing on techniques used in teaching mathematics in Japanese elementary schools. Elizabeth also played a key role as a translator and interpreter in this research. Elizabeth and Jack hosted many visiting scholars who came to the University from around the world. Elizabeth was a member of Community United Church of Christ in Champaign, Illinois, and with her husband, Jack, taught Sunday School there for many years. She made the rounds of local hospitals and nursing homes, paying neighborly visits to church members who were ill or in need of care. Elizabeth learned Braille and used her skills to transcribe texts for University students with vision-impairment. Elizabeth and Jack were founding members of the Dialogues in Methods of Education partnership bringing together community educators and researchers in education. They also were members of community groups working to integrate public schools in the 60’s. Elizabeth stayed active in the community long after she retired. She served as a mentor through the Unit 4 school district. She was a regular volunteer at Crisis Nursery, Krannert Center for the Performing Arts, Habitat for Humanity, and Family Services. In later years, when she moved first to The Windsor of Savoy and then to Amber Glen, she remained eager to love and to help her neighbors in any way she could: she was always on look out for opportunities to share a kind smile, a visit, or a helping hand. Her family is deeply grateful for the quality of love, care, and support she received at both The Windsor and Amber Glen.